Note: Dates and times have been updated for 2019. 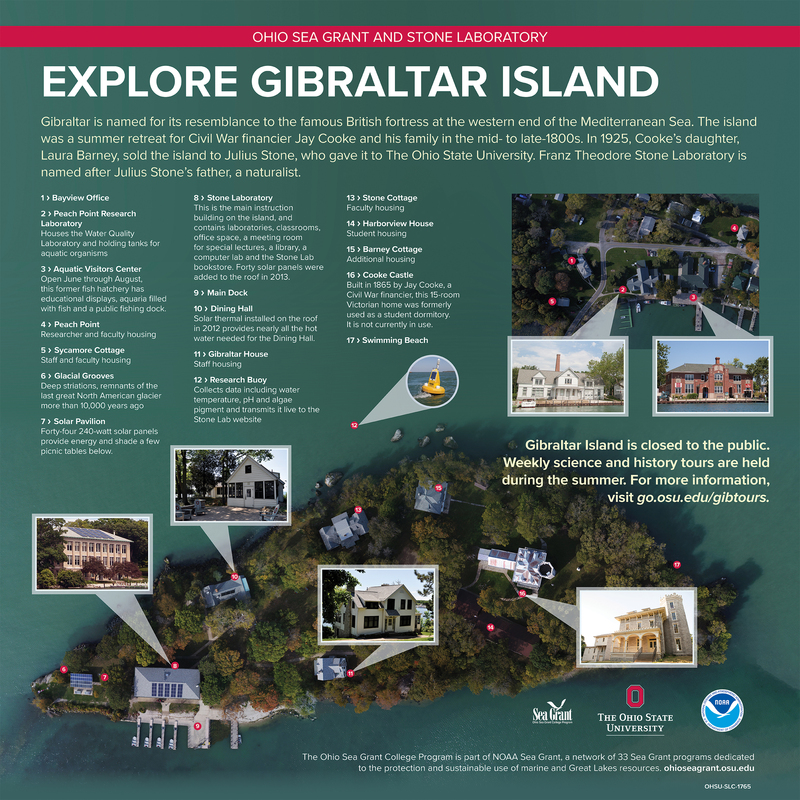 Gibraltar Island tours are available from 10 a.m. – 12 p.m. and 1-3 p.m. Thursdays June 20 – August 8, 2018. Groups tour the island, including Perry’s Lookout, the glacial grooves and the exterior of Cooke Castle before learning more about Stone Lab research. Tours can accommodate up to 70 people on a first-come, first-served basis. Meet at the Boardwalk Restaurant dock, 341 Bayview Ave. Put-in-Bay, Ohio at 9:45 a.m. or 12:45 p.m. to attend a tour. $10 per person, $5 for children ages 6-12. The water taxi to Gibraltar Island is $6 round-trip, payable to the boat driver.